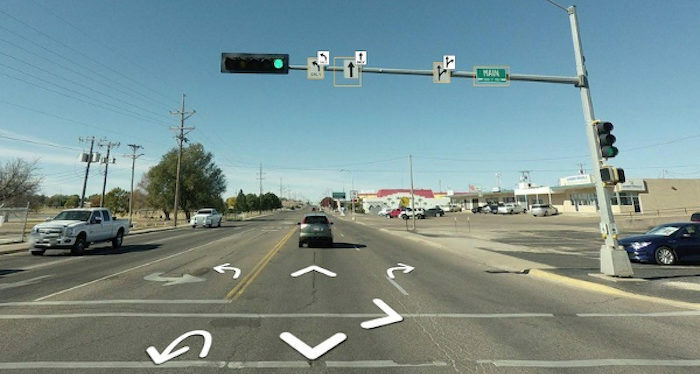 Swedish startup Mapillary has revealed how its technology has enabled a one-person GIS (Geographic Information System) department in Clovis, New Mexico, to streamline and automate the process of completing a city-wide traffic sign inventory. For many city authorities across the USA, collecting and managing local assets can be a daunting task. When GIS specialist Steven Hewett started working for the 39,000-population city of Clovis he was asked to undertake a complete traffic sign inventory of the approximately 24-square mile city; something that had never been done before. City managers assumed this task could be completed fairly easily and within a month, but no-one knew how many signs were actually out there. When cities need to do asset data collection, the job can be painstakingly time-consuming and expensive, as the data capture phase traditionally involves staff or contractors visiting every location and manually recording the information. For small cities and towns, physical inspection can be far outside of their budgetary restrictions, costing upward of US$4-US$6 per sign. In Clovis, where there are about 4,000 traffic signs, this would have resulted in costs of between US$16,000-US$24,000. In Clovis, a previous GIS technician had identified Mapillary’s platform as a potential solution to the problem. Hewett found that for the cost of a couple of action cameras and fuel, he could collect the imagery himself and have the traffic signs detected automatically by the company’s software. Using cameras attached to his car, Hewett collected approximately 200,000 street-level images and uploaded them to the Mapillary platform. Even though he was the only person collecting images, and it was performed alongside other day-to-day tasks, the entire process took a couple of months. However, Hewett believes as a dedicated task, it could have been done in just a few days; a huge time saving compared with doing the work manually. Earlier this year, Mapillary released an update to its traffic sign recognition software that now supports 1,500 different classes of signs from more than 100 countries. Soon after the images had been uploaded to the Mapillary platform, Hewett was able to access the automatically detected traffic sign data. As Clovis now has a Mapillary for Organizations subscription, the city authority now has access to the freshest traffic sign data, as new imagery can be uploaded at any time by any member of their team. Map data downloaded from Mapillary for Organizations is easily imported into Esri’s ArcGIS software system, which is what the city uses for its day-to-day operations. The new traffic signage inventory will be used to make sure all signs are visible, and to check whether they are in need of repair or replacement. With a full inventory, it is also possible to see where more or fewer signs may be necessary for a particular area.